We say yes for less! Traditional installment loans with lower monthly payments and total cost. Get a new loan or transfer your existing loan to a lower cost traditional installment loan and save. When compared to "title" or "flex" loans, you might save thousands! We can help. Quotes are free. Call an office near you and let us create a lower cost solution for you! 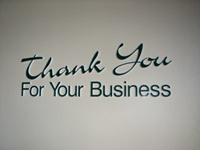 At Southern Finance, our focus is on you, our valued customer. We are committed to helping people. Your financial success is our success. Life is stressful enough without unnecessary financial hassles. We work hard to take the hassle out of the loan process. Apply today and let the team at Southern Finance work for you! Southern Finance has been providing financial services to consumers in East Tennessee and Southwest Virginia since 1955. Southern Finance is a consumer finance company with four convenient locations to serve you. We've added technology that makes loan approvals faster and easier. We've opened new locations to make it easier for you to do business with us. Southern Finance makes secured and unsecured loans to individuals with a wide variety of financial situations, from the most credit worthy to those with less than perfect credit. The collateral for secured loans is mostly residential real estate, land, mobile homes, automobiles, campers or RV’s. Southern Finance also purchases retail installment sales contracts from various local retail merchants. Personal/Confidential Loans $100-$1500 are ideal for assisting in small purchases, unexpected expenses, establishing credit, or re-establishing credit. Cash for almost any purpose is available with quick same-day service. We can approve you with a secured personal property loan; or, for a credit-qualified applicant, an unsecured loan. Our personal loans are affordable with low monthly payments. Your loan and personal information is always confidential at Southern Finance. Auto Purchase & Auto Equity Loans $500 - $10,000 are ideal for a variety of customers. With these loans, our customers have the flexibility to either purchase a car or use their car's equity to acquire the money they need for just about anything. Simply use your title to put extra cash into your pockets. Real-Estate/Home Equity Loans $3,000 to $50,000 or more (No upfront closing cost). We specialize in making real-estate loans at Southern Finance. Loans from $3,000 to $50,000 are our specialty, but we also make real estate loans of more than $50,000. At Southern Finance, we understand the importance of family and the well being of our customers. With a real-estate loan, the money can be used for whatever you want. Pay off bills or high-interest rate credit cards, make home improvements, take a vacation, or make major purchases. Why apply for a Home Equity/Real Estate loan with Southern Finance? We accept homes, mobile homes, and unimproved land as collateral. Southern Finance is locally owned and we keep and service your loan in our own offices. Since we keep your loan, we can usually accept residential property as collateral that the banks won't and in most situations, your loan will be approved in one day. No up-front appraisal fee or application fee is required. We have an experienced local staff dedicated to helping you obtain your loan. They know this area and will handle your application, appraisal, and approval. Consolidation Loans allow you to combine all of your bills and monthly payments into a single convenient loan with a lower monthly payment. By using the equity in your home or other collateral (autos, boats, recreational vehicles), you can pay off high-interest credit cards, personal loans or other bills. You may also be eligible to receive extra cash in addition to the amount you need to pay off your other bills. With a debt consolidation loan from Southern Finance, customers are able to substantially reduce their monthly payments and increase the cash they have to spend for other things.